Throughout my career, I have worked on several digital projects connected with my research. I am currently engaged in building and maintaining the following resources for scholars and welcome any comments my viewers might have. Over the course of my career, I have been interested in the formation, reformation, and transformation of the Persianate world, a supraregional cultural entity demarcated by a shared literary heritage, political language, and discursive practice which united disparate geographic, ethnic, and religious communities. I am particularly interested in the role that ideas about language and translation play in the development of religious and historical thought. This interest has lead me to question a number of commonly received narratives in Persian intellectual history and has propelled me to pursue research in the rich, but understudied, manuscript archives of South Asia. My current book project, which grew out of my dissertation research, contributes to an emerging dialogue about the relationship of language, knowledge, and religious thought. Cosmopolitan Zarathustras: Religion, Translation, and Prophethood in Iran and South Asia is a study of the Zoroastrian communities of medieval and early modern Iran and South Asia as they ceased to write religious works in their inherited scholastic language, Pahlavi, and begin to embrace the cosmopolitan languages of Classical Persian and Sanskrit. Drawing on theories of translation, I argue that the decision to write in a new language is accompanied by a host of epistemological consequences, enabling new ways of meaning-making while simultaneously rendering others obsolete. The first chapter of my book traces the slow spread of New Persian from Khurāsān across Western Iran, and the simultaneous afterlife of Pahlavi, the scholastic language of Sasanian Zoroastrianism. I then examine the decision by thirteenth-century Iranian Zoroastrians to write in New Persian on the eve of the Mongol conquest, a decision which allowed Zoroastrian theologians to engage meaningfully with works of contemporary Islamic theology at a time in which the Zoroastrian population of Iran was rapidly decreasing. 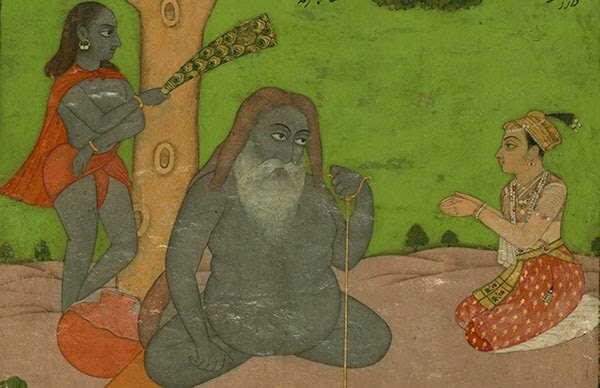 In my third chapter, I turn to India, where a group of Zoroastrians undertook translations of their sacred texts into Sanskrit and Old Gujarati and engaged with networks of Vaiṣṇava and Jaina learning to imagine a Zoroastrian world within the broader Sanskrit cosmopolis. In my fourth chapter, I examine the spread of Zoroastrian New Persian works at the conclusion of the first Islamic millennium. During this period, Muslim thinkers were drawn to Zoroastrian materials as a result of millennialist ideas predicting an end to Arab Islamic hegemony and the beginning of a new Persian dispensation. My fifth chapter examines the ways in which the Zoroastrians of Gujarat and Iran negotiate the New Persian and Sanskrit literary worlds from the fifteenth to the seventeenth centuries. My sixth chapter examines the re-emergence of vernacular, Persianized Gujarati literature in Western India during the seventeenth century as an expression of a regional Parsi identity distinct from a trans-regional Persianate Zoroastrian identity. Finally, my book concludes with the late eighteenth and early nineteenth centuries, in which Zoroastrians paradoxically abandon Persianate forms of knowledge, yet simultaneously recover a historical "Iranian" identity made possible through the introduction of the Anglophone colonial sciences of archaeology and philology. My research on the Zoroastrian communities of Iran and India is a study of the history of the Persianate world more broadly through the lens of a highly literate, trans-regional community. My next project, entitled On Translation and Toleration: The Free-Thinkers of Safavid Iran and Mughal India, examines the emergence of new ideas in Persianate religious thought which arose in the wake of the Safavid expansion during the early sixteenth century CE. I begin my book with a focus on the occultist and materialist currents that circulated in the city of Shiraz during the reign of the Safavid monarch Ṭahmāsb. I then hone in on the millennialist thinker Āẕar Kayvān, who left Shiraz with his followers in the 1570s and migrated to the city of Patna in Mughal India. Influenced by lettrist notions of language, Āẕar Kayvān held that since all the languages of the world are descended from the Celestial Language, the religions of the world are likewise translations of one fundamental truth. Therefore, Kayvān's disciples were commanded to spend time with members of different religious communities and "be civil with all" (ṣulḥ bā hama). Letters exchanged between the courtiers of Akbar and Kayvān establish Kayvān's influence at the court, and I argue that Akbar's millennialist institution of theDivine Religion (dīn-i ilāhī) and particularly his notion of Universal Civility (ṣulḥ-i kull) directly derive from Āẕar Kayvān. In tracing materialist and pluralist themes in the Persian poetry composed by Safavid migrants to Mughal India as well as Mughal intellectuals themselves, I focus on the lives and compositions of the poets Tashbihī and Fayżī. Revisiting the question of early modern Mughal secularism, I show that the Persianate intellectual tradition of materialism and pluralism parallels the process that results in the Deist and secularist ideologies of the European tradition. My book concludes with an examination of eighteenth and nineteenth-century intellectuals conversant with the Persianate intellectual heritage of materialism who engaged with European forms of Deism in the colonial encounter. Contrary to much scholarly opinion which holds that the introduction of secularist ideas into South Asia resulted from the unilateral imposition of European notions of religion under the colonialist state, I suggest that secularism was received and shaped by a pre-colonial Persianate framework. One of my main scholarly interests has been the study of the Zoroastrian religion. 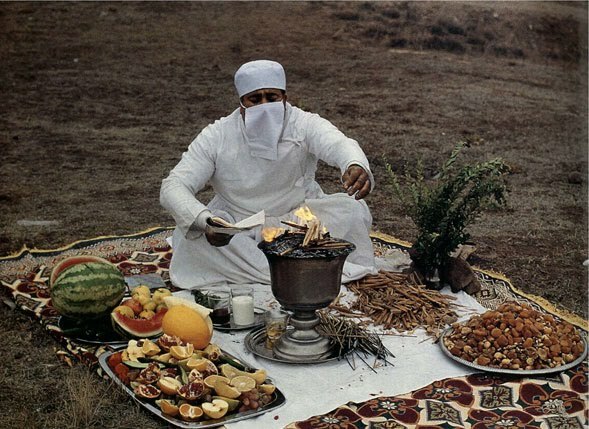 A religion which evolved in ancient times in Eastern Iran, spreading its influence with the pre-Islamic Iranian empires, and coming into contact with a variety of religious traditions in the different areas to which Zoroastrians went, studying ancient Zoroastrian texts provides a fascinating glimpse into the beliefs, practices, and legends of ancient Iranian communities. Yet though many scholars working on Zoroastrianism are primarily interested in the religion of pre-Islamic Iran, Zoroastrian communities continued to practice their religion after the Islamic conquest of Iran to the present day. It is especially this later phase in Zoroastrian history that I am drawn to as a scholar. After Zoroastrianism was unseated from its position as the state religion of Sasanian Iran, communities of believers adapted, persevered, and interacted with the fluctuating environments in which they found themselves. From their status as a decreasing minority of the Iranian population to settling in Western India to the present global diaspora, Zoroastrian communities have engaged with varying forms of Islamicate, Indic and Western intellectual traditions while constantly reinterpreting their ancient religion to make meaning of the worlds around them. I am often asked why I study Zoroastrianism. Many scholars study Zoroastrianism because they are fascinated by an ancient intellectual tradition in some ways so different and in others so similar to their own; others, because they are interested in reconstructing a mostly forgotten chapter of world religious history in which Zoroastrianism left its mark on the other major world religions; some study Zoroastrianism because they feel a connection to their heritage. Yet for me, I am not so much drawn to a core intrinsic essence of Zoroastrianism as I am interested in examining the life of a religion as it evolves and adapts to drastic changes in the world around it. For a religious community that today counts probably no more than 120,000 adherents globally, Zoroastrianism is uniquely well attested in almost all its phases, yet to date, the bulk of the Zoroastrian religious corpus, particularly its later elements, has not received much scholarly examination: in fact, many texts still wait to be discovered in the collections of Zoroastrian manuscripts around the world. The thrill of recovering lost voices from forgotten chapters of history drives much of my research, and by conveying these texts to a larger academic audience, I hope both to help foster a renewed interest in what Zoroastrian studies can bring to comparative discussions of religion. In addition to my current book project, I have several side projects which I have been working on and hope to continue in my later academic career. My recent articles can be found under my CV. 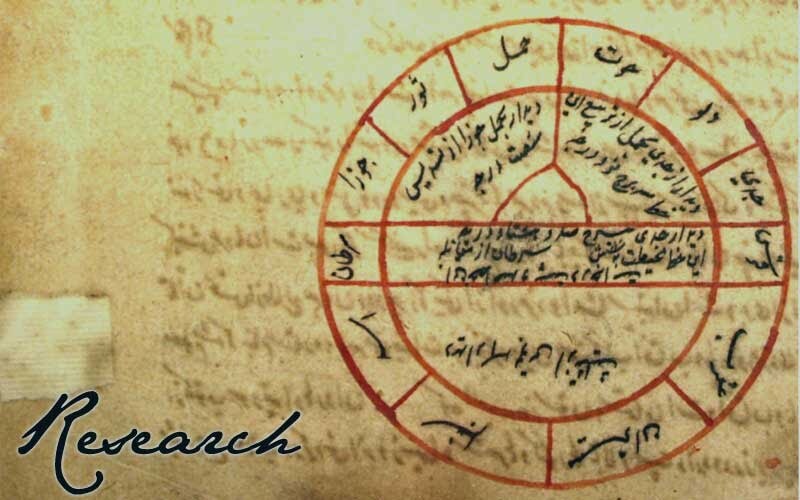 Having done extensive archival research in Indian Zoroastrian libraries as part of my Fulbright-Hays Doctoral Dissertation Research Award, I hope to be able to continue the work of identifying and cataloguing uncatalogued manuscripts in the future. I have been collecting material for a future project tentatively entitled The Parsis and the Construction of Modern Zoroastrianism: Parsi Problems in the Nineteenth Century Books, which will be structured as a survey of 19th century Zoroastrianism through intellectual biographies of Mullā Fīrūz, the Sanjāṇā and Jāmāspāsā priestly families, Erachji Sohrābji Meherjirāṇā, Māṇekji Limji Hāṭariā, and Kharśedji Rustamji Kāmā. Though much of my work pertains to later periods of Zoroastrian history, the study of Pahlavi (Zoroastrian Middle Persian) literature has remained a central part of my research. Representing the remnants of a presumably much larger Sasanian corpus of literature, the universe of the Pahlavi texts provides us an entry-point into the minds of Late Antique and Medieval Zoroastrian scholars. As a scholarly language, Pahlavi was actively (though increasingly rarely) used for priestly compositions into the 19th century, yet despite two centuries of Western research on Pahlavi literature, much work remains to be done, and several texts of crucial importance have not yet received critical editions or translations. Over the course of the last few years, I have been working on an edition and translation of the Wizirgerd ī Dēnīg (Religious Judgments), which, though the first Pahlavi text ever published in its entirety in 1848, has never been translated and has only rarely received scholarly attention. The text, comprising a broad miscellany of subjects probably compiled sometime between the 10th-13th centuries, is particularly important for our understanding of Zoroastrian ritual practice and law. Having recently completed a draft, I am currently revising and annotating my text for future publication.